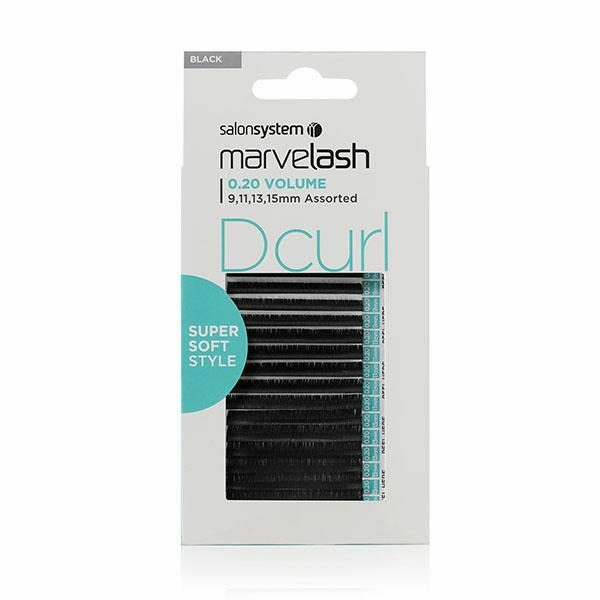 Super Soft D-Curl lashes perfect for adding volume to curlier natural lashes or adding extra curl just where it’s needed. Assorted lengths - 9,11,13,15mm, 0.20 volume. 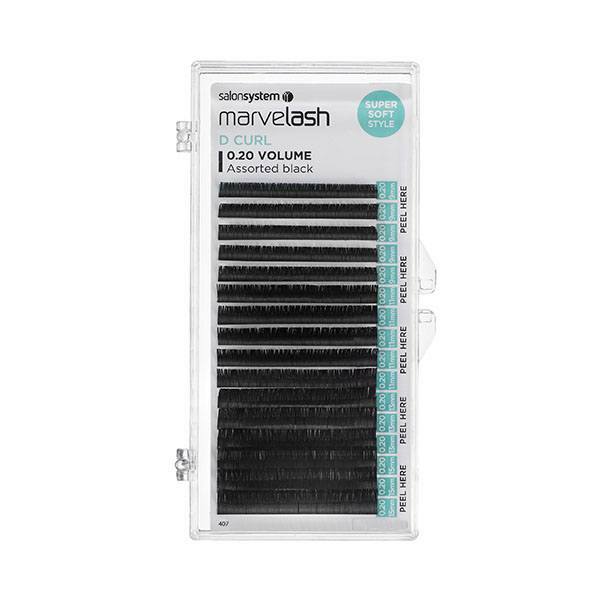 Black, synthetic hair.